Microsoft has reassured Windows 7 users they still have time to migrate to Windows 10 before support for the former ends soon. With the official Windows 7 End of Life set for January 14 2020, companies and consumers still running the aged software still have around ten months remaining to upgrade, and Microsoft is ready to assist the process any way it can. A new Microsoft update released today will see Windows 7 users reminded of the 10-year-old software's impending end, and the need to upgrade to the latest version as soon as possible. 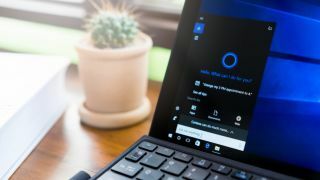 Speaking to TechRadar Pro, Brad Anderson, Microsoft’s corporate vice president of enterprise experiences at Microsoft reassured Windows 7 users they still have plenty of time to upgrade. Anderson notes that “well past” 50 percent of commercial users have already upgraded from Windows 7 to Windows 10, and the company’s own analytics show that a device is updated to the newest build every second. “We’re seeing the highest level of compatibility from one version of Windows to another that we’ve ever had,” Anderson says, noting that there are currently more than 800 million active Windows 10 devices online today. “We’ll certainly encourage them to upgrade, for a host of reasons,” Anderson says, naming superior stability and security as particularly potent benefits. Microsoft is set to start nudging Windows 7 users to upgrade soon, with pop-up notifications informing the imminent end of life due to start soon. But for those companies that need to remain on Windows 7 a little longer than next January (such as those needing to address certain compliance regulations), Microsoft will still provide support for up to three years - although you will need to pay. At this point in time, support for Windows Enterprise users using Windows 7 for the first year after the End of Life date (January 2020 – January 2021), will cost $25 (around £20, AU$35) per device. This rises to $50 per device (around £40, AU$70) for year two (January 2021 – January 2022), and $100 (around £80, AU$140) for year three (January 2022 to January 2023). The company has also this week revealed Windows Virtual Desktop, which can provide another option, allowing organisations to run Windows 7 virtual apps and desktops for three years after the deadline without paying support. But Microsoft is also looking to make the upgrade process quicker and easier for Windows 7 organisations through a variety of methods. Realising that the biggest worry organisations have with upgrading is compatibility, the company has already launched the Desktop Aperture program, which looks to help solve possible compatibility issues with Windows 7 apps for Windows 10. Companies concerned they may have any problems can talk directly to Microsoft to solve issues - whether that’s with their app, or Windows itself. Anderson notes the program is already resulting in a 99.9 percent compatibility rate for migrating apps, but realises that many firms may have issues in keeping up with the amount of Windows updates being released. As a start, Desktop Aperture allows organisations to deploy “pilots” of new version of Microsoft platforms such as Windows or Office, allowing them to spot potential issues and making it easier to deploy the latest software.